"I believe I am the original poster of this recipe. My mom handed this recipe down to me several years ago and it has recently become very popular with busy moms all over the Internet. Try using Chinese ketchup instead of regular. Serve with steamed white rice like jasmine or basmati and/or Chinese noodles." 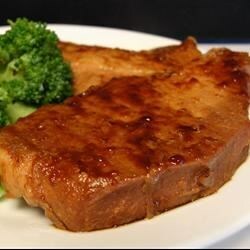 See how to make a sensational marinade for grilled pork chops. Did not like at all. Very dry and very salty. I even used low sodium soy sauce. Sorry, not a keeper. I didn't know that I was out of soy sauce, so I substituted beer and left out the ginger. It was incredible.